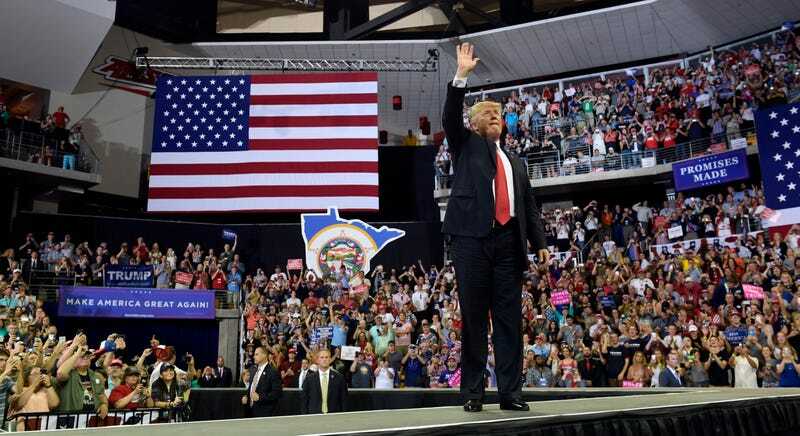 Donald Trump held one of his insane rallies in Duluth, Minn., on Wednesday night, and he was joined by thousands of angry ghouls who got to enjoy an evening getting intoxicated on white grievance. Among those in the crowd was ... Celtics legend Kevin McHale! I’m sure they had a great time.